(KJIPUKTUK), HALIFAX - Locked out Chronicle Herald pressroom workers are running out of patience, and will call for an advertisers boycott unless things change for the better soon. Today is the 12th day since the pressmen were locked out by their employer. “We've been very patient up to now, we don't want to hurt the business. It is our members' livelihood, after all,” says Martin O'Hanlon, president of CWA Canada, the Halifax Typographical Union's parent union. But that will change, he tells the Halifax Media Co-op, unless the employer comes through and lifts the lockout. “We're going to boycott and cost those guys a lot of money. I don't know why they would want to do that,” says O'Hanlon. Workers feel that Herald owners locked them out unjustly, and continue to bicker about minor details while the union made major concessions throughout the ordeal. 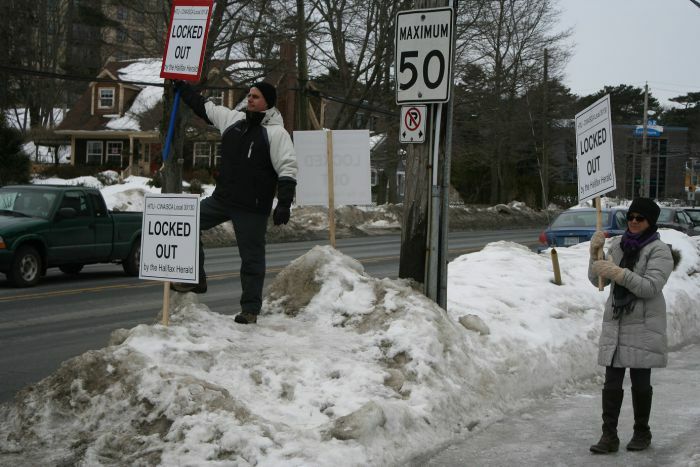 Earlier the workers asked readers to cancel their subscription for the duration of the lockout. Expect more trouble for the owners, unless things change for the better very soon, Hanlon warns. “Anything that is business of the Herald would be fair game to us. They declared war on us by locking us out. Their own workers, their so-called family,”says O'Hanlon. That would include advertisers, subscribers, as well as other publications printed at the Bedford plant, he says. 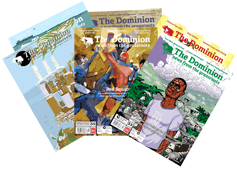 These publications include the Dalhousie Gazette, the Antigonish Casket, and various regional Herald spin-offs such as the Halifax Citizen, the Bedford Sackville Observer, the Dartmouth Tribune and others. “At some point we have to take the gloves off. We can't keep playing nice all the time, because they will just keep beating us up,” says O'Hanlon. 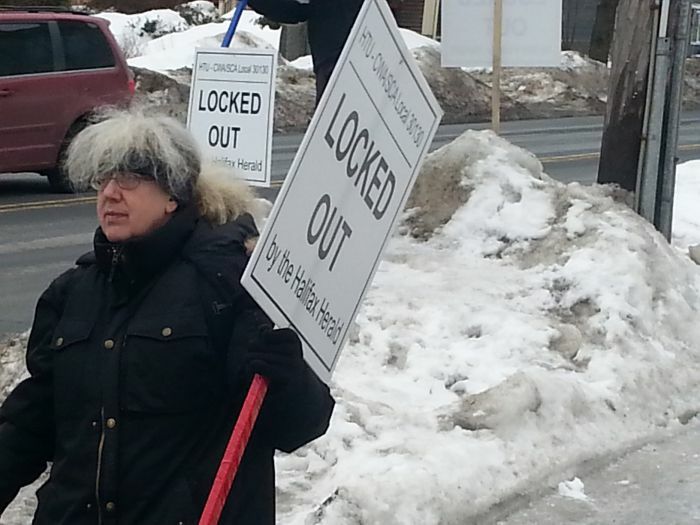 The Halifax Typographical Union and the and the Halifax Dartmouth & District Labour Council are calling a rally in solidarity with the pressroom workers. Friday, March 6th at 7:45 am outside the Herald's offices at 2717 Joe Howe Drive . People are also asked to join the Friends of the Herald facebook page.